What happens when you outsource the production of products to China? Really sold out or pulled due to this faux pas? Note the rather childish product description... 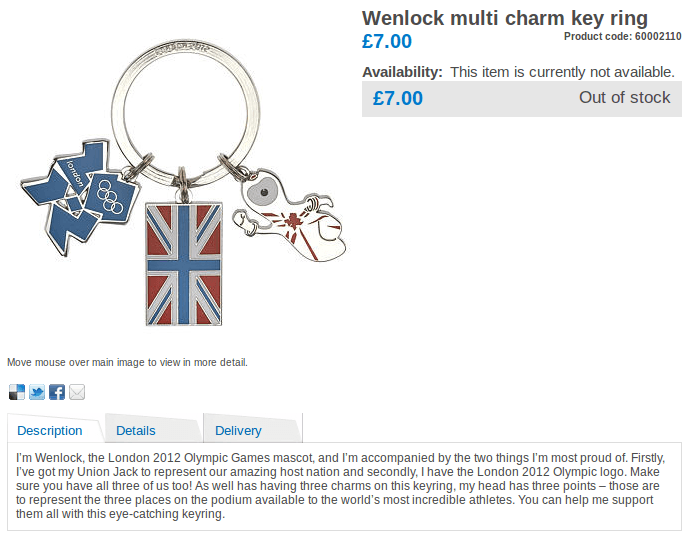 I bet Wenlock isn't too proud of his Union Jack now.